This 36-week Precalculus homeschool math course is designed for upper-level high school students who have completed Algebra 1, Algebra 2, and trigonometry. 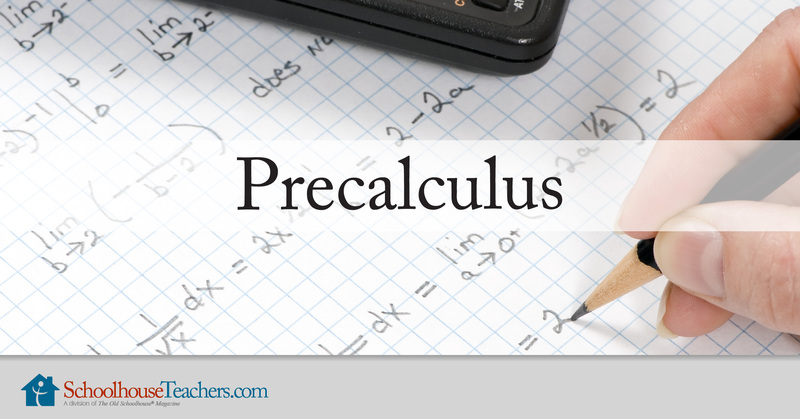 Precalculus lessons cover relations and functions, linear and quadratic functions, polynomial and rational functions, exponential and logarithmic functions, conics, systems of equations, matrices, sequences, and binomial theorem. A final exam is provided. Go to Class Lessons and download the lesson plan and Text Book and Lesson One. Start with the Day 1 assignment. Follow the instructions each day on the lesson plan and check them off when completed. Precalculus homeschool math lessons teach advanced mathematical concepts that assume the student has successfully completed Algebra 1, Algebra 2, and trigonometry. Read through the concept and proceed to the examples even you don’t grasp it 100%. The authors always provide a detailed example for each new concept. As you follow through the explanation in the example, you might want to get a pencil and do the math yourself. You should get a better picture or understanding than you did from the first reading. After you work through the examples, go back and read the previous concept paragraphs again. This is to enhance your understanding. You might still need to refer back to the examples as you read it. Complete the examples without looking at the steps in the book to see if you are truly understanding the concepts. (You can skip this step if you are being asked to prove equations or theorems). I’m hoping this guideline will help you to discover the “gold nuggets” in the book. In fact, you might find it interesting as the authors can be quite witty. Occasionally, I have used some notes from Precalculus published by OpenStax College or added some of my own notes which, I hope, will help you to have a better understanding of the concept. Each day’s lesson will take approximately one hour. The chapter review exercises will take more time than the daily lesson, and the final test will probably take around three hours—the questions within these have been pulled from Precalculus. The solutions are provided in a separate download. The optional exercises in some of the daily lessons are mostly self-exploration or brainstorming kind of questions. So, answers are not provided for all of them. I’d encourage you to correct all your mistakes in the exercises before you proceed to the next lesson. This full-year Precalculus homeschool math course includes daily work with lesson text, practice problems, and assignments. Answer keys are provided for the student, including step-by-step solutions for many problems. 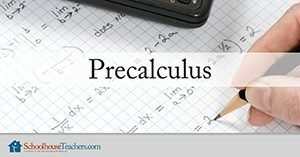 This full-year high school Precalculus homeschool math course is worth 1.0 academic credit upon successful completion of all lessons and assignments. 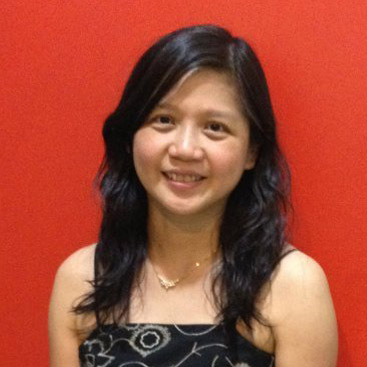 Would you like to tell others about this Precalculus homeschool math course?